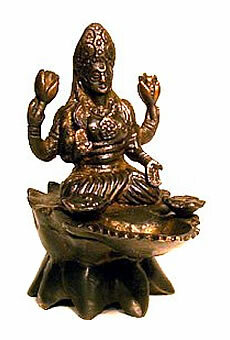 Hindu Goddess (Lahkshmee), bringer of prosperity, harmony & sensual pleasure. Bronze finish antiqued brass statue that can also be used as a cone incense burner. 5" high.